Low branches can become a hazard. They can block important signage, obstruct views and start to touch places that are not safe. Our skilled tree trimming professionals work with residential, commercial and municipal lands to keep our local area safe. No matter how large or small the job is, our team can remove any tree. We have cranes, ropes and the techniques needed to get even the toughest of trees removed and out of your property. Contact us to restore safety to your property. Stumps from a past tree can give owners quite the headache. A Tree Services is the remedy. Don’t risk your mower blades any longer, invite even a single other weed to sprout. Instead call A Tree Services to get that stump out! We remove stumps, grind them up and haul it all way. There are many tree diseases and invasive insects that are wiping out species all over Minnesota. Emerald Ash Borer is a main concern of many. Our team is educated on the specific practices on how to isolate and remove of a tree burdened with this lethal insect. Don’t allow other trees to fall because of beetles, instead contact us for fast resolution. 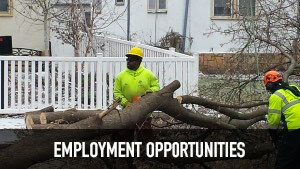 This entry was posted in Minnesota Tree Company and tagged Full Service Tree Care Edina, Stump Grinding Company, Tree Insect & Disease Control, Tree Removal Edina. Bookmark the permalink.